A short time in Australia plus various positions in Ireland coloured this Mayo priest’s vocation. John E. Stephens was born on January 6th, 1839 in Gurtapuntane, near Claremorris, Co. Mayo. His brother James was a curate in the Tuam Diocese. Following his education, he worked in O’Connor’s business in Swinford. Following advice from Bro. Jerome Ryan OSF, a close confident of Père Leman: John Stephens entered the Juniorate at Blackrock College in Co. Dublin to continue his education at secondary level stage. While there he won prizes for ‘Diligence, Greek and Hebrew.’ He acted as prefect from 1866 – 1867. 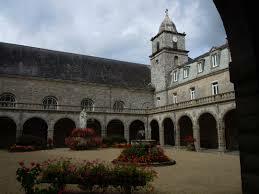 He studied for the priesthood in Langonnet, France: he was ordained during 1871. Fr. 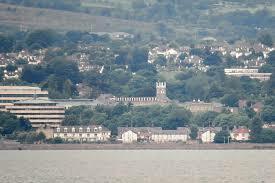 Stephens was appointed to Blackrock, Co. Dublin. At the end of one year he requested a transfer to act as curate in his native Tuam Diocese. With his successful request of a transfer Fr. 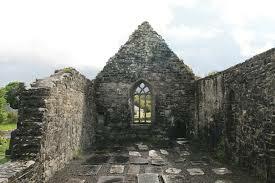 Stephens served at the parishes of Castlebar, Aughagower also Monivea. 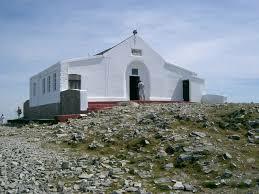 His spectacular achievement was the construction during 1882 of the first oratory erected at that era on the top of Croagh Patrick in Murrisk, Co. Mayo with the assistance of a former member of the society Fr. Michael Clarke who later would act as a Parish Priest in Dublin. 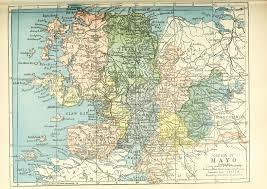 A supporter of the Irish Land League Fr. Stephens was also close friend of Archbishop John McHale. Unfortunately neither of these qualifications endeared him to McHale’s successor, Archbishop Mc Evilly. In fact Fr. Stephens found himself without a post. Around 1886, his former fellow curate at Aughagower in Mayo, Fr. Thomas Carr, who was by then Bishop of Galway, asked him to come as his secretary in Melbourne where he had been transferred as Archbishop. With this new mission during 1888 Fr Stephens requested permission to rejoin the Congregation at Ballarat, Australia. The Congregation withdrew from Australia in 1892. Fr. Stephens returned to Ireland, he was appointed as bursar at St Mary’s, Rathmines. In 1893 he was transferred to Rockwell College where he acted as Director of the Juniorate in the absence of Fr Louis Demaison, who had been seconded to other duties for a time. When Fr. James Cotter in 1894 resigned the Presidency: Fr Stephens was called on to assume the post, he agreed but with one condition that he would accept for a one – year term only. His next appointment was as bursar under Fr N.J. Brennan, they both supervised the building of the chapel plus other improvements in the college plant. The chapel was dedicated to the National apostle with a statue of St Patrick prominently displayed on the front gable of the chapel. Rev. Fr. Stephens retired as bursar during 1898: he transferred to St Mary’s, Rathmines where he acted as assistant bursar till 1903. He retired to his alma mater, Blackrock, where he died on October 5th 1916 aged 77 years. He is interred at Deansgrange, South Co. Dublin.